Size : 190 x 8mm total length and width, 35mm x 50 (body part). 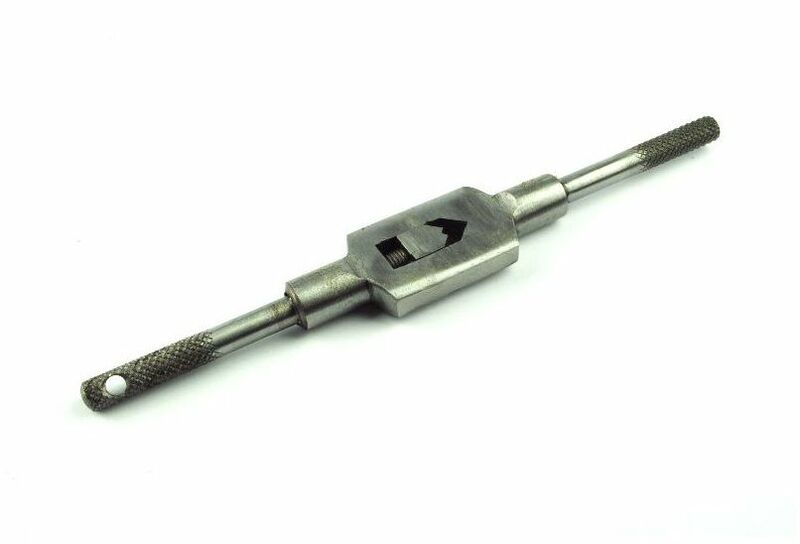 Industrial quality Bar type tap wrench manufactured from high quality steel. The wrench body consists of two steel jaws. Handles are chrome plated with the movable handle being knurled on one end for positive grip and control. Buy with confidence, we have a no quibble returns via our Freepost service.